Inventors, poets, artists and creators-journal as you get inspired, and take down thoughts the moment they present themselves. You'll never lose a Eureka! moment again. (Might pay for itself in the long run, especially if you're after a Pulitzer). This personal notebook is the king of blank journals, giving you creative license in its overall look. Who knew you could design your own journal online? Well, we did. And now we're sharing this key info with you! Our perfectly sized wire-bound journal books measure a handy 5" x 8," which makes them perfect travel companions-they can go wherever you do! Design your own cover, and even choose the paper necessary to help creative juices flow from right brain to printed page in just the manner you envision. 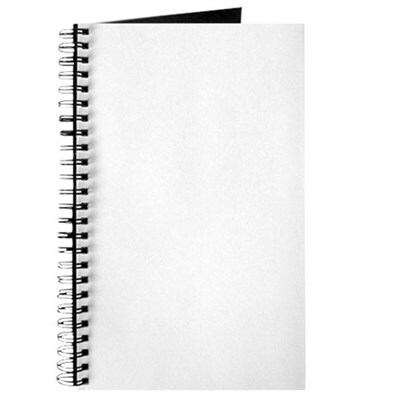 Opt for blank pages, dot grid, lined or college-ruled. Custom journal printing means you also design the cover-with your favorite inspiring image, a photo, quote or text-anything you'd like as long as it's original. No set up fees, no minimum order requirements, and discount on bulk orders. Ready to listen to your muse? Get inspired, design your custom journal, and never lose an important thought again.